Controls are special elements like checkboxes or radio buttons. 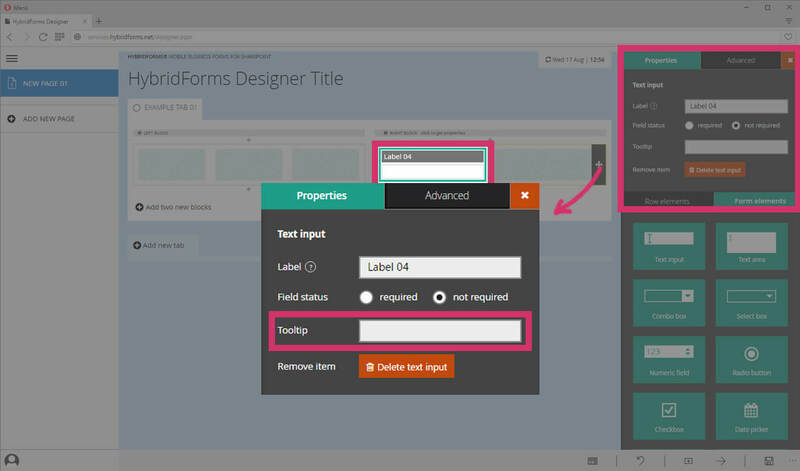 Users fill in a form by modifying its controls (like entering text, selecting from combo boxes). 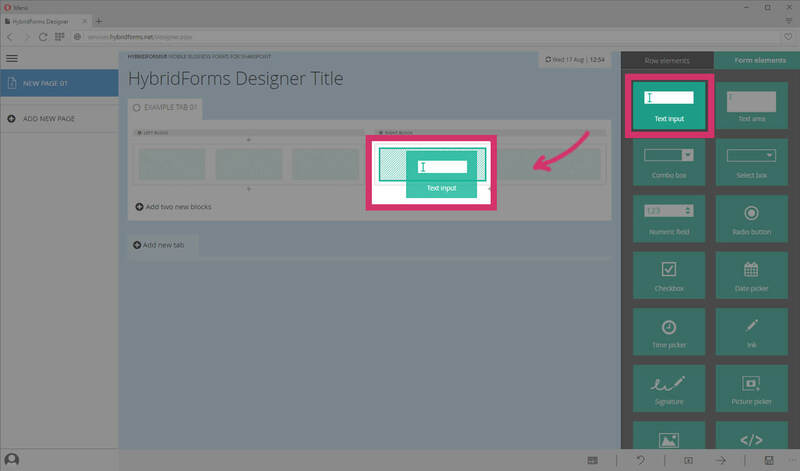 Use the drag & drop functionality to add new control elements to a column. Control elements have several properties. Click on a control element in the content area to open the respective properties window. The following properties are standardized and applicable to all controls, regardless of their functionality. This is the visible title of the control. Add a short information for your control. Then a question mark will be added to the label of this control. Note: The tooltip is an optional function.